Note: With thunderstorms developing, there will likely be delays in Memphis after 11am. 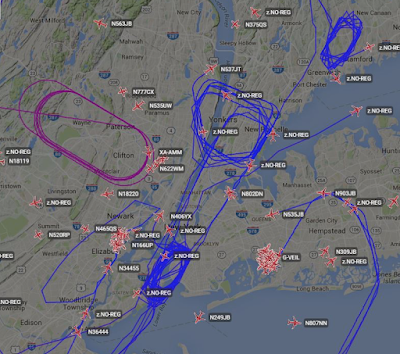 Other airports will be affected by thunderstorms later today. 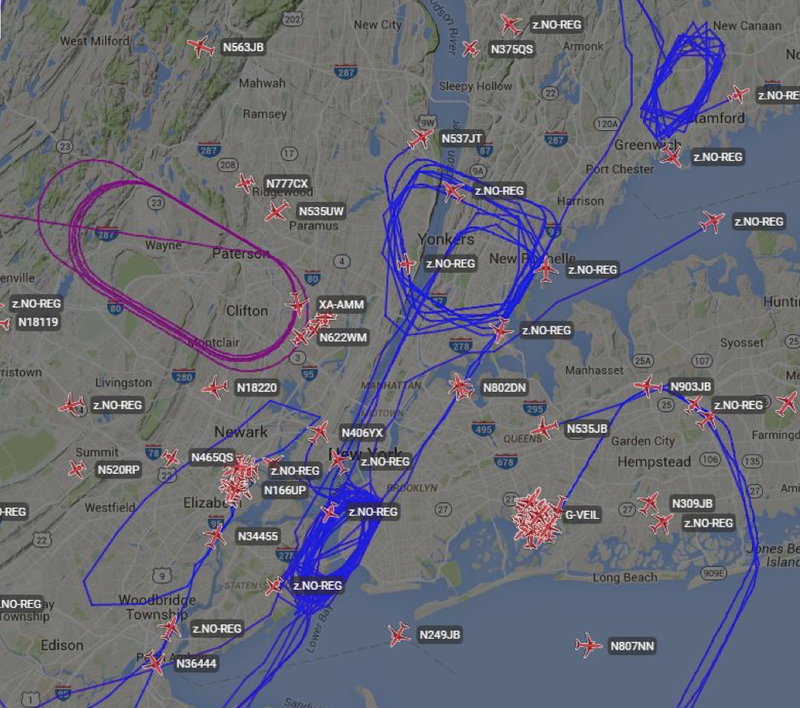 This is an image, via Twitter, of aircraft having to circle the NYC-area airports due to the fog.